Get your salad dress up with our Vegan Thousand Island Salad Dressing. We make Vegan Thousand Island Salad Dressing without any animal or animal-derived products. 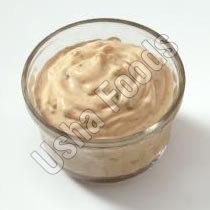 Our Thousand Island Dressing is so popular worldwide for its tartness and creaminess. This Vegan Thousand Salad Dressing works well on sandwiches and salads, as a dip for veggies and even as a topping for baked potatoes. This Salad Dressing can be obtained from us in airtight packaging option.